When Caroline Power ventured into the Cayos Cochinos Marine Reserve off the coast of Honduras, it was as if she had come upon a crime scene. Power is an environmental photographer and she had remembered the place as pristine, she told The Telegraph. 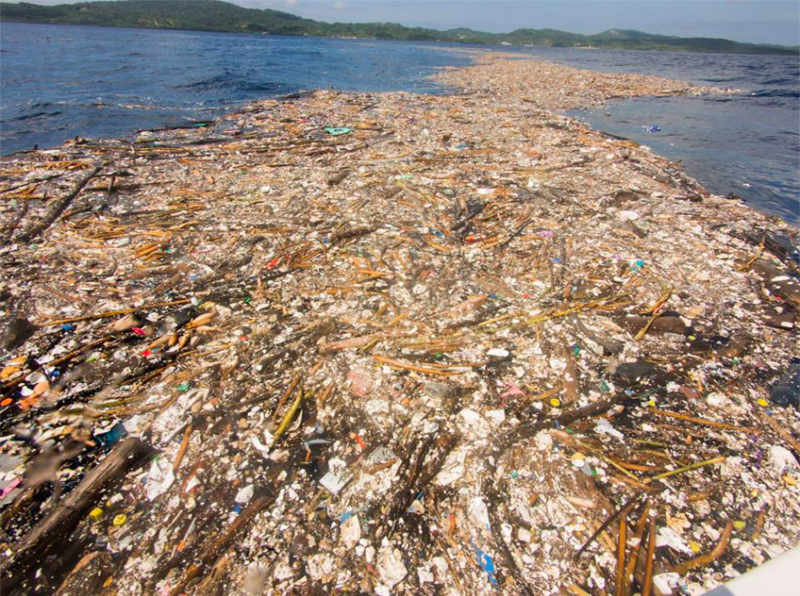 But from horizon to horizon, grimy bands of plastic trash floated in the water. Plastic utensils, boots, food containers, and random bits of plastic infiltrated the water. She captured the scene in a series of photos that have since gone viral, depicting the shocking scale of plastic pollution in the Caribbean Sea. 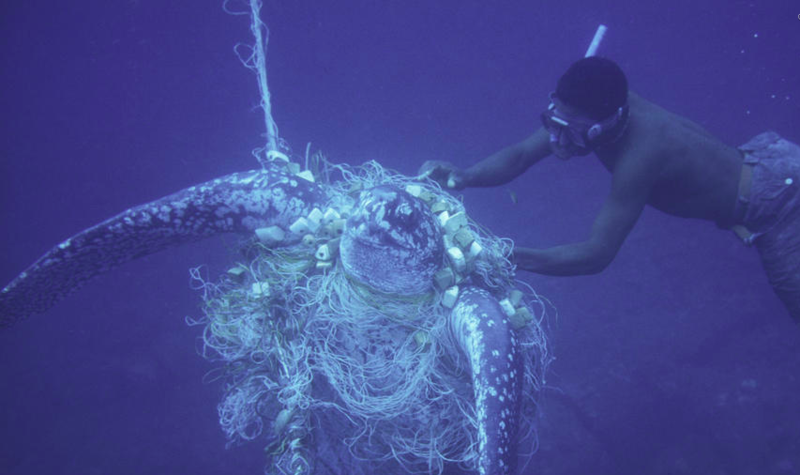 The Blue Planet Society believes that the plastic came from the Montigua River in Guatemala and was washed into the ocean because of seasonal rains. Hourston said that Guatemala doesn’t have a formal garbage collection system that covers the entire country, so in many villages, garbage is just dumped along river banks and on the outskirts of towns often near a river. “When the rainy season comes it just gets washed into the rivers and flows straight down to the Caribbean sea,” he said. In the past, the Honduran government has railed against the Guatemalan government for allowing this pollution, he said. This latest photo series has prompted the two governments to get together and commit to action, according to Hourston, including trapping the garbage. Globally, the world’s oceans are suffering from problems ranging from rising temperatures, overfishing, and ocean acidification — when the waters absorb more carbon and acidity levels change. 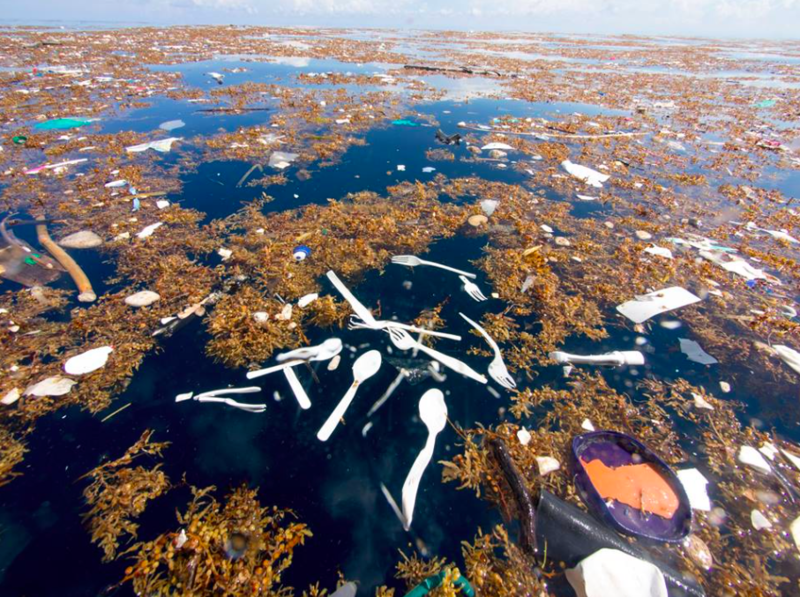 Plastic pollution is an especially potent threat to the oceans, according to Hourston, and the problem has only recently begun to become known to the public. 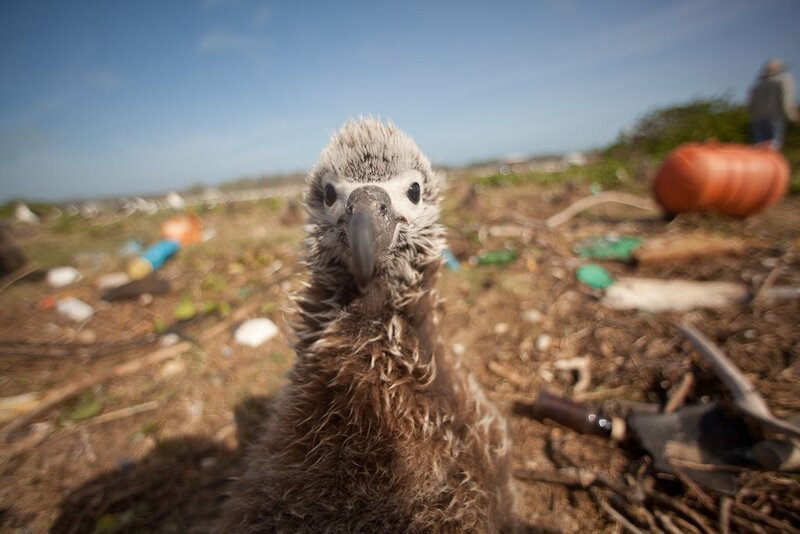 Images of seabirds eating strips of plastic, turtles trapped in plastic nets, and murky tracts of plastic floating throughout oceans and along beaches have become rallying cries for the environmental movement in recent years. But the problem has always seemed to be distant, according to Hourston. Images like Power’s show that the problem is happening everywhere. An estimated 8 million metric tons of plastic enter the oceans each year, which is like emptying a garbage truck of plastic into an ocean every minute. If current trends continue, there will be 12 billion metric tons of plastic waste in the world by 2050. Plastic pollution affects the oceans in a number of ways, Hourston said. For one, plastic “becomes a magnet for pollutants” when in the environment. Toxins that wash into bodies of water — agricultural pesticides, chemicals from industrial plants, greenhouse gas emissions, and more — latch onto plastic. This leads to the second problem — plastic in the water is regularly consumed by marine animals, according to Hourston. Animals such as seabirds, fish, whales, and even plankton are consuming plastic. This means that the toxins absorbed by the plastic and the toxins inherent to plastic are being absorbed by animals. Oftentimes, animals choke on plastic, starve to death because their stomachs get filled with the indigestible matter, or become poisoned. “It enters the food chain at a microscopic level and then likely ends up in humans, and we can be fairly certain there will be some negative impacts,” Hourston said. Between 1950 and 2015, an estimated 8.3 billion metric tons of plastic have been produced globally, and 75% of this plastic has been thrown away. A large percentage of this waste has ended up in the world’s oceans, creating the problem that is so graphically shown in Power’s photos. Hourston said that while consumers can reduce their plastic consumption, the key to solving this problem is ultimately government legislation, because that’s the only way to get plastic out of the world’s economies. Cities and countries around the world are beginning to ban different forms of plastic as the problem becomes better understood. Global Citizen campaigns on the Global Goals, which call for circular forms of production that limit plastic waste. You can take action on this issue here. But action needs to be accelerated, Houston emphasized. “If we allow it to continue for the next 50 years, we will live next to a barren, polluted, heated, acidic hellscape and that means we’re going to go with it,” he said.